Find DPS Houston information including phone, address and hours of operation for the six different locations listed below. 1. What should I bring when I visit the Houston Department of Public Safety office? It varies upon what it is that you are trying to accomplish. If you are renewing your Houston drivers license, then you will need to complete a drivers license renewal form, and have your old license and your social security number. 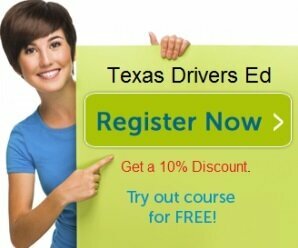 If you are trying to obtain your first TX driver license, then you will need to finish a online driver safety program course prior to your application at the DPS Houston Office. If you are between the ages of 14-17, you can get 10% off the enrollment cost for internet drivers education by clicking here. If you are between the ages of 18-24, you can enroll in an online Adult Drivers Ed class by clicking here. 2. What are the DPS Houston office hours? We have listed the office hours and telephone number for all DPS Texas locations, including the DPS Houston office. Since the DPS Houston may close during special holidays, we strong recommend you call in advance of your visit to make sure that the DPS Houston office is open. 3. Can I pick up the forms that I need at the DPS Houston office? Yes, or you can access them online here on our website by clicking here. We advise you to have the required forms prepared before your visit. Trust us, it will save you time. You’ll thank us later! 4. Is it true that the DPS Houston now requires a “Proof of Residency” policy for first time drivers license applicants? Yes. However, it’s not just the DPS Houston. Effective April 2012, any Texas driver applying for an original Texas drivers license, Commercial Drivers License or Identification card is required to bring at least two documents to verify his or her identity. This is Texas law. 5. What forms of payment are accepted at the Houston DPS? Houston DPS now accepts accept credit cards, cash, checks, and money orders. Applying for a Texas Driver’s License at the Houston DPS location you will require that you bring certain documents along. For some drivers there may be other requirements that also must be met. If you wish to study ahead of time for your written or driving test, please ask one of the DPS Houston workers for a copy of the Texas driving handbook, or you can alternatively find it online. Houston DPS will require certain documents to prove your identity. Those items include your Social Security Number, and proof of your current residency in the state of Texas. Also you may be required to provide proof of lawful residency or U.S. citizenship. When at the DPS Houston location you will have to fill out an application. You will need to fill out a statement for the Houston DPS that states you are not the owner of a vehicle. As the applicant if you are showing up in person at the DPS Houston location please make sure you bring the documents that are required, plus money for fees that will need to be paid. For teens who visit the DPS Houston location you will need to complete the Impact Texas Teen Driver requirements along with the teen driver education course. NOTE: As an applicant at the Houston DPS if you are under 25, you will also have to complete a driver education course before you can apply for your license. ATTENTION: As of the date of April 1, 2015, anyone who has to complete the teen education course will also need to finish the ITTD requirement, before they can sit for the exam. As applicants who are under 18 and show up to the Houston DPS you will have to meet other requirements. To discover what they are please go to the Teen Drivers Education page. To help with identity theft, the Houston DPS wants to enhance the integrity of the processing of licenses. People who are nonresidents will need to meet more requirements and provide proof of lawful presence. You can find the documents that your DPS Houston office will accept as proof on the Verifying Lawful Presence Guide. You can also look to the US Citizenship or Lawful Presence page, or download the brochure online. If you have recently moved to Texas and are between the ages of 18-24, the DPS Houston office will require you to furnish evidence of completion of an Adult Drivers Ed course before you may apply for your license. For a Class M license, that is needed for motorcycle or moped drivers, please look for requirements on the Motorcycle Licenses page. Some exemptions are possible for disabled veterans. If you feel that you may qualify for this type of designation, please visit the Veteran Services page, or talk to your Houston DPS location.